Cape Town - Stormers forwards coach Matt Proudfoot, speaking from the team's base in Queenstown, says they’ve learnt lessons from their defeat to the Highlanders. The men from the Cape went down 39-21 to the Highlanders in their tour-opener in Dunedin last Saturday, but they remain determined as ever to bounce back this week against the table-topping - and unbeaten - Hurricanes. Adding to that determination was a clean bill of health on the injury front on Monday, meaning that all 27 squad members would be taking part in training on Tuesday and, thus, would also be available for selection in week two of the four-match tour. According to Proudfoot, the squad had good conditioning and review sessions on Monday, whilst the management team held their regular preview meetings in their specific departments as well as with the senior players and leadership team (all part of the team’s regular Monday routine). 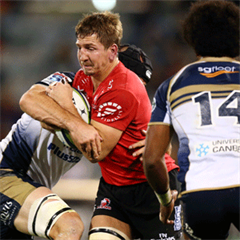 “We had a very good review day and have put the Highlanders game to bed,” Proudfoot told the Stormers’ official website. “The Hurricanes and Highlanders are similar in some ways, but not totally the same in other (ways). You need to dominate New Zealand sides on the gainline and if you need, match them with your kicking game (too). Speaking about the performance of the Stormers pack, which continues to impress in 2015, Proudfoot added: “As a pack we set high standards and we need to maintain that consistency in our game to be a dominant pack (on a consistent basis). 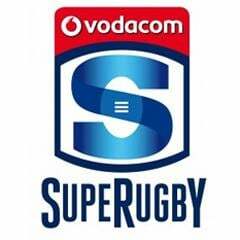 The Stormers team, to face the Hurricanes, will be announced on Tuesday morning (South African time). The tour squad will head to Wellington on Thursday before taking on the ‘Canes at the Westpac Stadium on Friday (08:35 SA time).